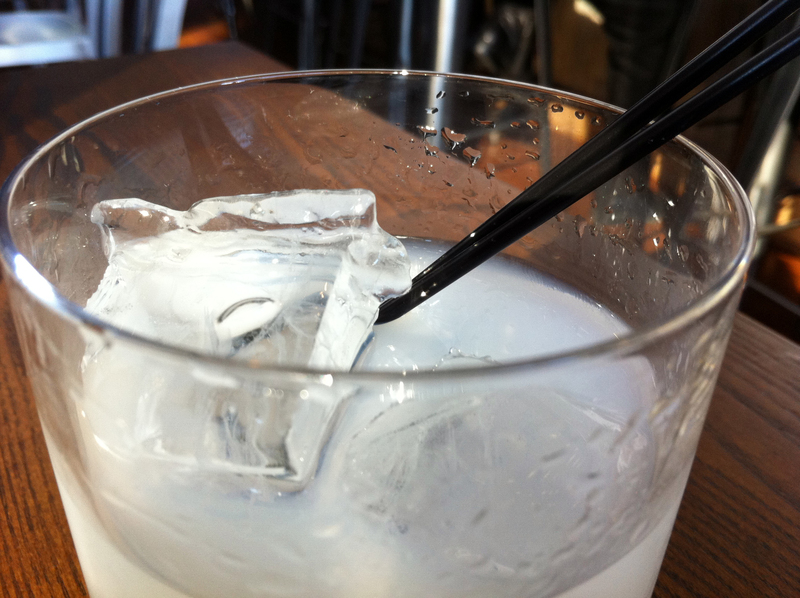 AUSTIN, TX — Absinthe in Texas. It sounds like a band name. Absinthe is European! Okay, it doesn’t really have it’s true roots there, but that’s what it’s usually associated with. 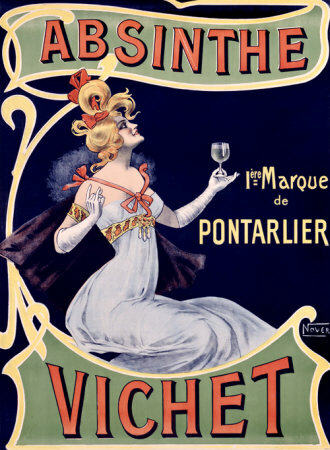 With a rich history dating back to the ancient Egyptians, absinthe gained most of its fame and infamy with French artists and Bohemians — including painters Vincent Van Gogh and Edouard Manet — during the late 19th and early 20th centuries. Falsely portrayed for decades as an addictive drug causing hallucinations, the green-colored brew is now enjoying a resurgence in popularity. With the European Union reauthorizing the sale of absinthe in the 1990s, the drink has found a new generation of admirers. And with the rediscovery, we present a primer on absinthe, explaining its history, proper preparation and known effects, and listing its most notable drinkers. Tenneyson is a French absinthe, distilled and bottled in the Pontarlier region of France, imported by Truth Spirits, LLC out of Austin. I was down in Austin for work this past week, covering South by Southwest Interactive for my company. I’ve been in contact with Graham Wasilition of Tenneyson for the past several months, but up until this point I wasn’t able to get my filthy little hands on it to sample. Taking note that I was poking around downtown Austin, Graham shot me a tweet while I was sitting on a bench waiting for a bus back to my hotel in Round Rock. The bus stop I was sitting at just happened to be across the street from… Congress. So, if I have a local guy giving a laundry list of recommended restaurants, and the chance to test out a new (to me) absinthe, I’m going to jump on it — after I was finished with my work of course. I sidled up to a booth just after 5 p.m. on one of the days I got finished with the SXSW panels. I figured I’d sit down, enjoy the breeze coming in through the open doors, sip on a cocktail and eat some delicious food. 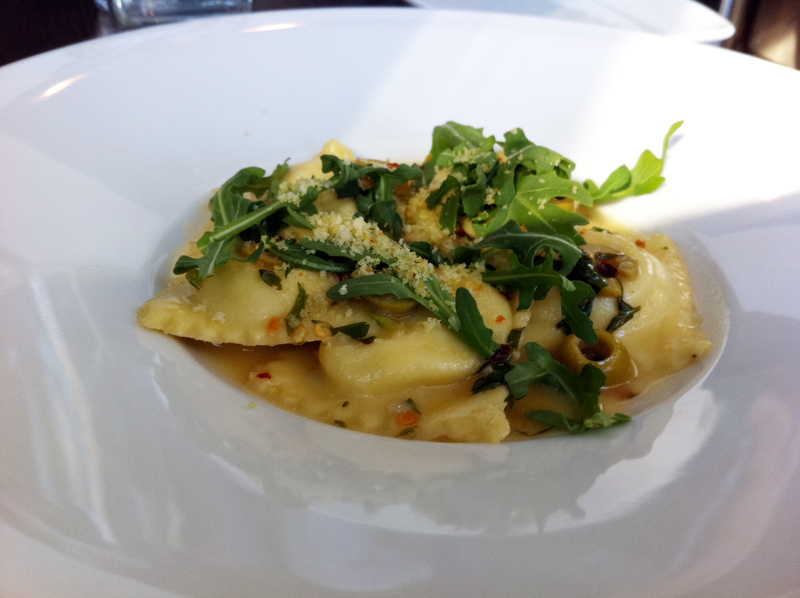 For dinner I had the goat cheese ravioli with arugula, which was unbelievably excellent. It had a very well-balanced cream sauce with goat cheese perfectly cooked within the pasta. The bitterness of the arugula gave it a nice bite as well. Totally approve. Then it was on to the Tenneyson absinthe. 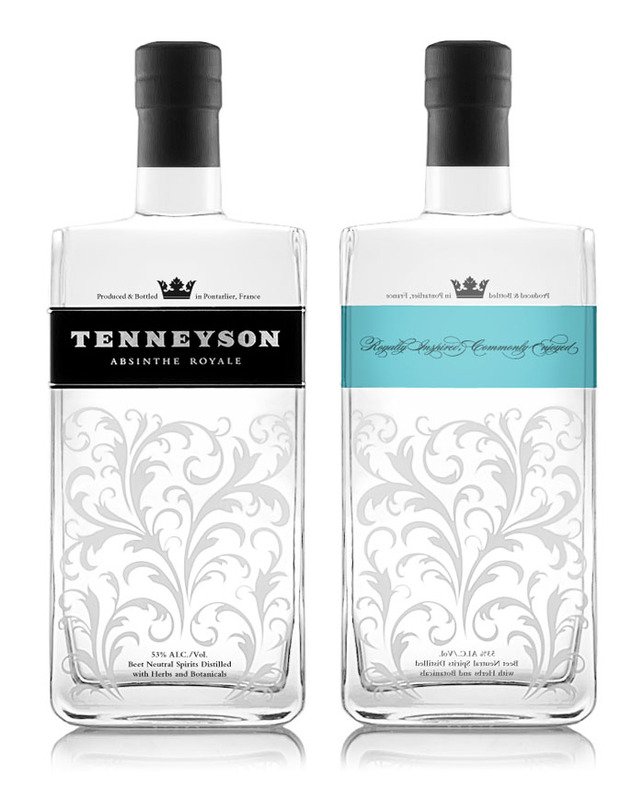 Unlike the more famous green varieties, Tenneyson is a white absinthe. There’s the distinctly sweet anise smell . Truthfully it makes me think of my mom’s springerles. It has a very, very smooth taste. There isn’t that same harsh burn that I’ve experienced on other absinthes. 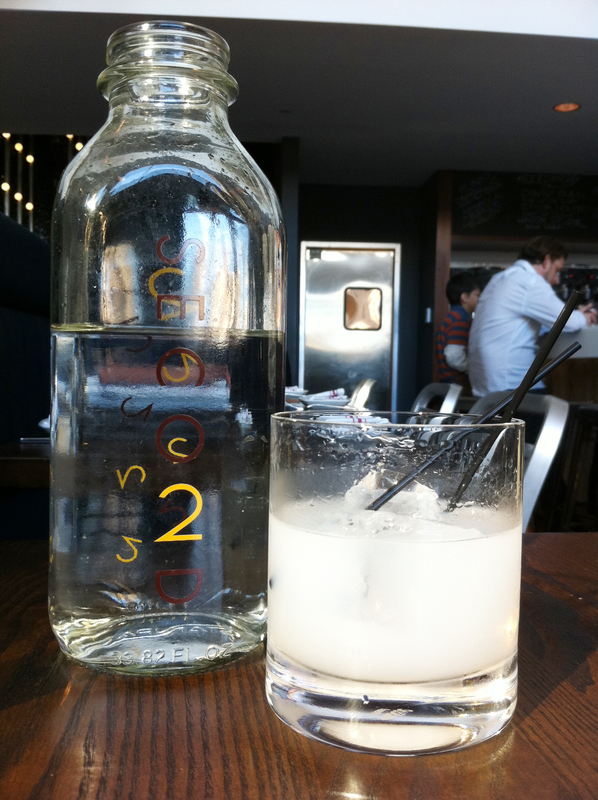 With water, on the rocks it’s almost dangerously smooth and is very sippable. The color is a very cool, ghostly white. Depending on how easy it is to get my hands on this, this may become my bar standard. Very pleasing. But how is it in a cocktail? 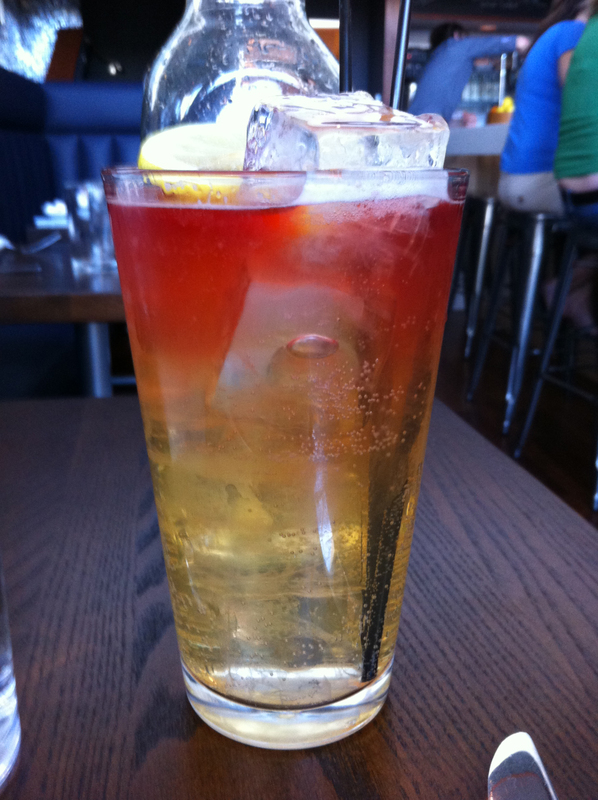 Combine the Tenneyson and Strongbow at the bottom of a highball glass filled with ice. Fill 3/4 full and then float the bitters on the top for a nice layered effect. The anise flavor is very light on the undertones, but distinctively there. There’s a distinct licorice flavor lingers in the aftertaste. 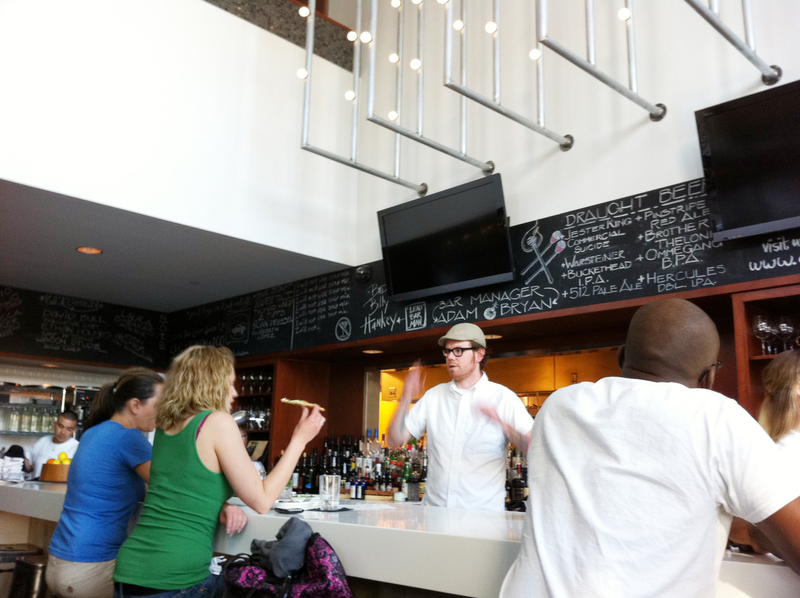 The spiciness of the Peychauds works with the lightness in the cider. Much like the Tenneyson neat, it’s just a little bit too easy to drink. Very smooth.